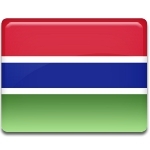 The Republic of The Gambia celebrates its Independence Day on February 18. On this day in 1965, The Gambia Independence Act came into force, making the country fully independent from Great Britain. 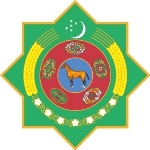 February 18 is Day of Diplomatic Staff of Turkmenistan. This professional holiday was established by Presidential Decree in 2009. 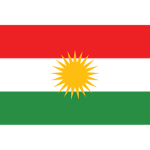 The list of official holidays in the Kurdistan Region of Iraq (Iraqi Kurdistan) includes Kurdish Students Union Day celebrated on February 18. Its main goal is to emphasize the contribution of student activists to the cultural and political life of the region. 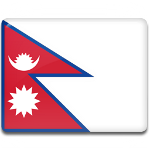 Democracy Day in Nepal is celebrated annually on February 18. It celebrates the overthrow of the Rana dynasty that ruled the Kingdom of Nepal from 1846 to 1951. Seafood lovers will love National Crab Stuffed Flounder Day, that falls on February 18. 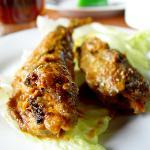 This is one of favorite summer meals, but don't miss a chance to enjoy it in winter. 2010 Andrew Joseph Stack III deliberately crashed his single-engine Piper Dakota light aircraft into an office complex in Austin, Texas. 2 people died and 13 were injured. 2004 In Iran, a runaway freight train carrying sulfur, petrol and fertilizer caught fire and exploded. The entire village of Khayaam was destroyed, over 300 people were killed. 2003 An arsonist set fire to a train in the Daegu Metropolitan Subway in Daegu, South Korea. 192 people were killed and 151 were injured. 1978 Died: Maggie McNamara, American model and actress. She began her career as a teenage fashion model and made her debut on Broadway in 1951. 1977 The Space Shuttle Enterprise was carried on its maiden flight on top of a Boeing 747 Shuttle Carrier Aircraft. It was named after the starship Enterprise from Star Trek. 1974 Born: Yevgeny Kafelnikov, Russian tennis player who was ATP number 1 in 1999 (from May 3 to June 13). He also won two Grand Slam singles titles. 1973 Died: Frank Costello, Italian-American gangster and crime boss who was in control of a vast gambling empire across the United States. 1967 Died: J. Robert Oppenheimer, American theoretical physicist and professor. He is often called the "father of the atomic bomb" for his role in the Manhattan Project. 1965 Born: Dr. Dre (stage name of Andre Romelle Young), American rapper, record producer, and entrepreneur who founded Aftermath Entertainment and Beats Electronics. 1957 Died: Henry Norris Russell, American astronomer known for the development of the Hertzsprung–Russell diagram (along with Ejnar Hertzsprung). 1954 The Church of Scientology was established in California. In 1956, it was renamed "The Church of Scientology of California" (CSC). 1954 Born: John Travolta, American actor, singer, dancer, and producer, Golden Globe winner. He starred in the films Saturday Night Fever, Grease, Pulp Fiction. 1943 The Nazis arrested the members of the White Rose movement, a non-violent, intellectual resistance group which consisted of students from the University of Munich and their professor. 1934 Born: Paco Rabanne (born Francisco Rabaneda Cuervo), Spanish fashion designer who founded his own fashion house in 1966. His designs were flamboyant and outlandish. 1933 Born: Yoko Ono, Japanese-American artist, singer, and peace activist known for her work in avant-garde art. She is the widow of John Lennon. 1931 Born: Toni Morrison (born Chloe Ardelia Wofford), American novelist, editor and professor who was awarded the 1933 Nobel Prize in Literature. 1930 A 24-year-old American astronomer Clyde Tombaugh discovered Pluto after nearly a year of searching. News of the discovery was announced on March 13. 1911 The first official flight with air mail took place from Allahabat, India. A 23-year old pilot Henri Pequet delivered 6,500 letters to Naini, about 6 miles away. 1906 Died: John Batterson Stetson, American hatter and hat manufacture who is best known for the invention of the cowboy hat that is sometimes referred to as Stetson. 1902 Died: Charles Lewis Tiffany, leader in the American jewelry trade in the 19th century who founded Tiffany & Co. in New York City in 1837. 1898 Born: Enzo Ferrari, Italian motor racing driver and entrepreneur who founded the Scuderia Ferrari Grand Prix motor racing and the Ferrari automobile marque. 1885 The Adventures of Huckleberry Finn by Mark Twain was first published in the United States. It is considered one of the Great American Novels. 1851 Died: Carl Gustav Jacob Jacobi, German mathematician who made considerable contribution to number theory, dynamics, elliptic functions, and differential equations. 1836 Born: Ramakrishna (born Gadadhar Chattopadhyay), Indian mystic whose religious school of thought led to the formation of the Ramakrishna Mission. 1814 The Battle of Montereau took place during Napoleonic Wars. The Austrians and the Württembergers were defeated by the French under Napoleon Bonaparte. 1745 Born: Alessandro Volta, Italian physicist best known as the inventor of the battery. 1564 Died: Michelangelo, Italian painter, sculptor, architect, and poet of the High Renaissance who made a great influence on the development of Western art. 1546 Died: Martin Luther, German Catholic priest, friar, professor of theology, and seminal figure of the Protestant Reformation. He translated the Bible into the vernacular. 1516 Born Mary I of England, Queen of England and Ireland from 1533 until her death. She was known as Bloody Mary because of her executions of Protestants. 1405 Died: Timur, historically known as Tamerlane, Turko-Mongol conqueror and the founder of the Timurid dynasty in Central Asia.